The all-steel, heavy-duty construction of the Proline FS100UM A-Frame Ukulele & Mandolin stand provides the durability, strength and portability for working players and musicians on the go. 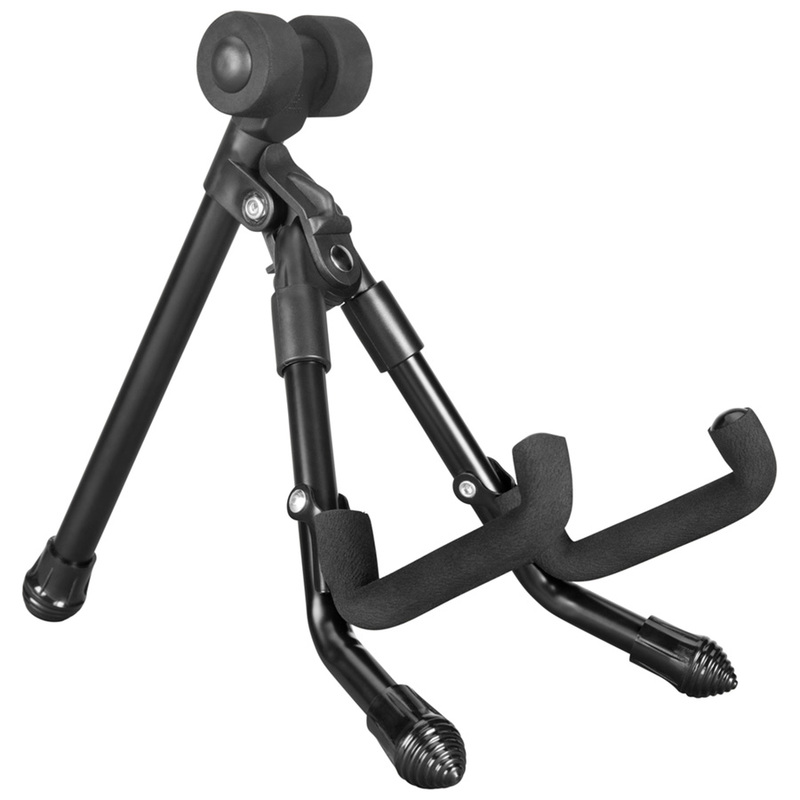 Its bottom-support design keeps the neck free from any material contact, while its heavy-duty non-slip rubber feet keep the stand exactly where you put it. Plus, the FS100UM is fully collapsible, making it easy to slip into your gig bag for transportation and storage.